Netflix has released the first trailer for the second season of their epic original series Marco Polo. The series, in many ways answering to the success of HBO’s Game of Thrones, has also been used a promotional vehicle for 4k Ultra HD video with High Dynamic Range (HDR) — something Game of Thrones producers can’t boast. Marco Polo is based on the famous explorer and his relationship with Kublai Khan during 13th Century China. The series was created by John Fusco who also serves as executive producer along with Dan Minahan (who coincidentally worked on Game of Thrones). 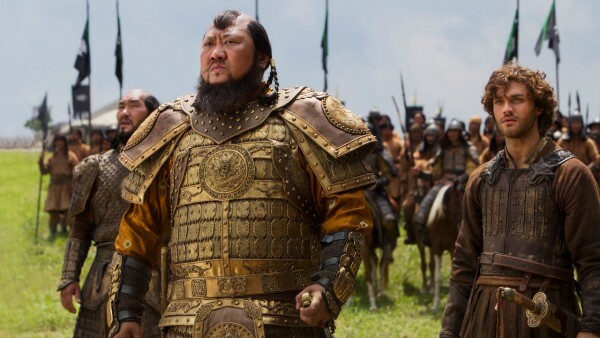 The second season will include returning and new cast members: Lorenzo Richelmy (Marco Polo), Michelle Yeoh (the Handmaiden), Benedict Wong (Kublai Khan), Joan Chen (Empress Chabi), Zhu Zhu (Kokachin), Tom Wu (Hundred Eyes), Olivia Cheng (Mei Lin), Claudia Kim (Khutulun), Rick Yune (Kaidu), Remy Hii (Prince Jingim), Mahesh Jadu (Ahmad) and Uli Latukefu (Byamba). Marco Polo Season 2 will launch on July 1st, with ten episodes that can be binge-watched or viewed on demand.